AE. 2 y's. & 6 m's. 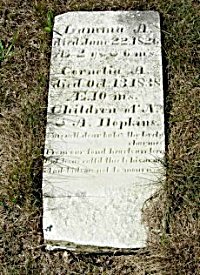 The gravestone is broken and flat on the ground. The epitaph is unreadable.